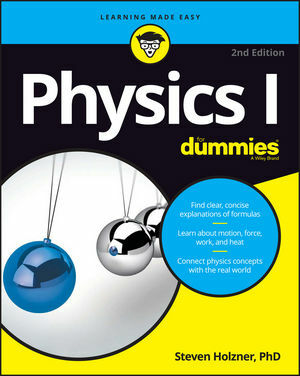 Physics I For Dummies tracks specifically to an introductory course and, keeping with the traditionally easy-to-follow Dummies style, teaches you the basic principles and formulas in a clear and concise manner, proving that you don't have to be Einstein to understand physics! Steven Holzner, PhD, was a contributing editor at PC Magazine and was on the faculty of both MIT and Cornell University. He wrote Physics II For Dummies, Physics Essentials For Dummies, and Quantum Physics For Dummies.